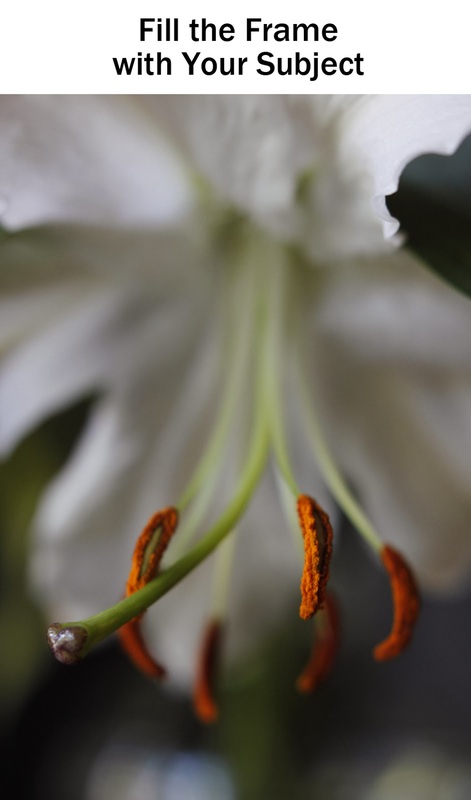 Macro photography is a way of looking at and recording the details and minutiae of the world. A macro photograph allows you to see a subject enlarged beyond life size and to capture subtle details or amazing facets that might be overlooked at a normal scale. Macro and close-up photography are related but not identical fields. 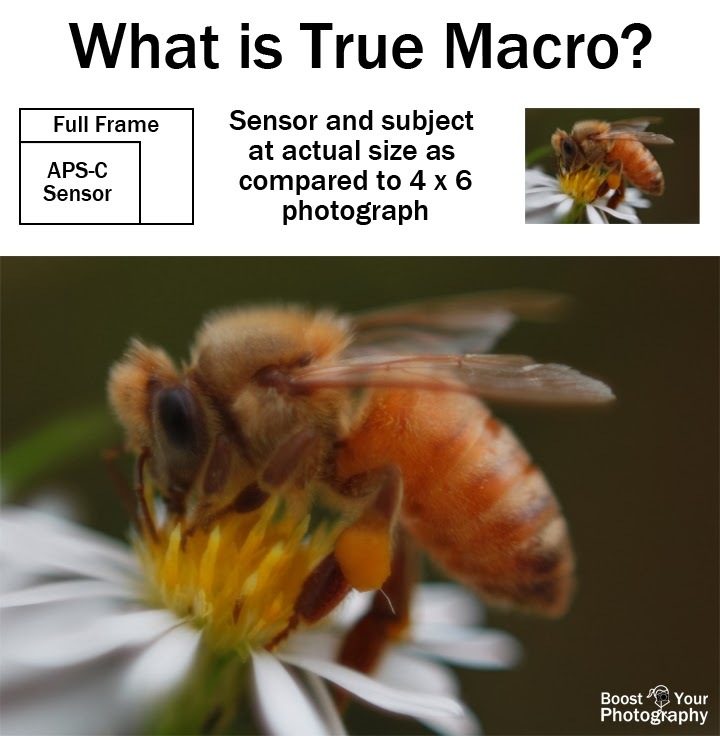 There is actual a technical definition for macro photography, and it is related to the ratio between the size of the subject being photographed and its size on the camera's sensor. A true macro photograph will record the subject equal to (1:1) or larger (2:1 or greater) than the true life size of the subject. For a crop sensor camera with an APS-C sensor, the sensor size will be around 25 x 17 mm, while a full frame sensor matches conventional 35 mm film, with a size of 36 x 24 mm. This would mean capturing a subject at that size sensor for a true macro photograph. Close-up photography is a more loosely defined term. A close-up photograph will also feature a smaller subject shown magnified, but the subject may not be as small as the actual camera sensor. Since most photographs are viewed at larger sizes than camera-sensor-size, such as 4 x 6 inches, it is easy to print a close-up photograph at a larger size and show off larger-than-life details. 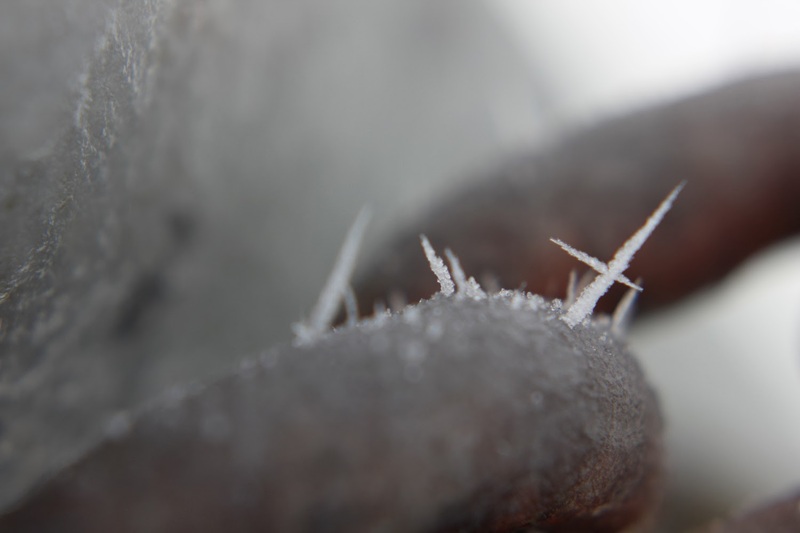 All of the suggestions in this article apply equally well to macro and close-up photography. Bugs and insects are classic macro photography subjects, but you are not limited in your choice of subjects. Everyday objects can take on an unexpected appearance when viewed through the lens of macro photography. Other good candidates include subjects with interesting textures or colors. You might be amazed at the possibilities you will discover! Depth of field refers to the width of the part of your photograph that is in focus and is of particular interest in macro photography. The closer you get to your subject, the relatively smaller (thinner) your depth of field will become. 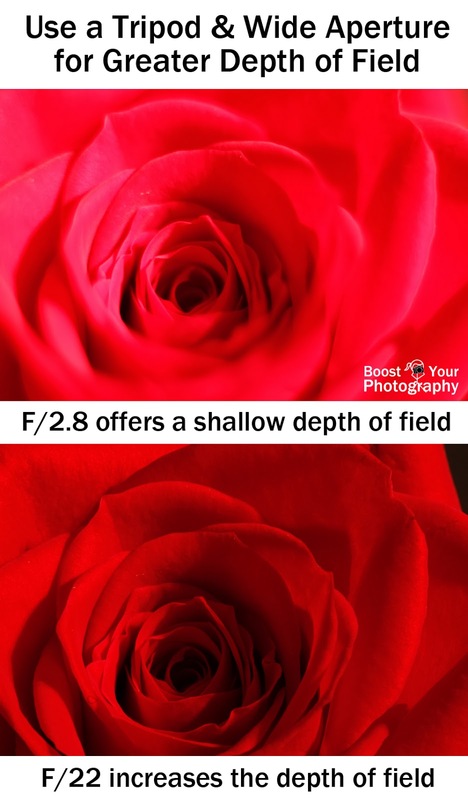 If you are focusing on a subject at your camera's minimum focusing distance, it may mean that your depth of field is only millimeters thick. This can make focusing particularly difficult, as any slight movement in the camera or the subject may throw the entire subject out of focus. One solution is to use a narrower aperture when shooting, such as f/22. This will maximize your depth of field and allow you to get more of your subject in focus. The trade-off, however, is that you will need to use a much longer shutter speed to compensate. 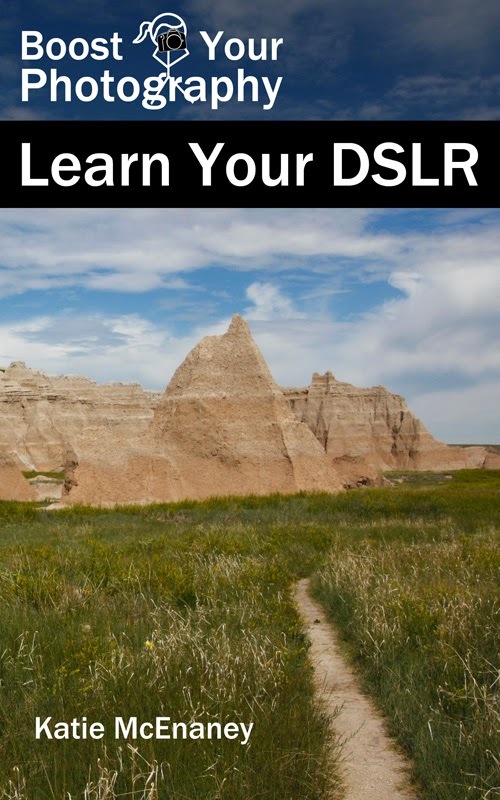 This may not be possible if you are shooting a quickly moving, crawling, or flying subject, as it may move while the camera is recording the picture, causing blur. In that case, you will need to open up the aperture or raise your ISO to get a quicker shutter speed. If you have a stable subject, such as a still life or a household object, you can use a tripod in combination with that longer shutter speed to keep your camera rock steady and maintain a sharp focus. Use a remote release or two-second timer to avoid adding shake to the camera, turn off any image stabilization on your lens, and consider turning on the mirror lock-up option to completely avoid transmitting any shake to your camera. Read more about How to Maximize Your Tripod here. 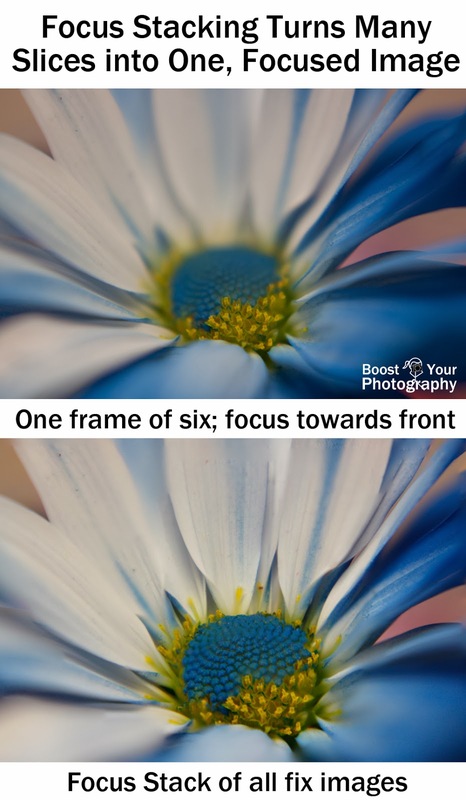 One post-processing solution to increase depth of field is to utilize focus stacking. Focus stacking allows you to shoot a series of pictures with incremental changes in the location of the depth of field and then combine all those separate regions in focus into one fully in-focus final image. Read more about focus stacking later this month in a full post how to. Depending on your subject, you may not have a lot of control over your final composition. A quickly moving insect may not be considerate enough to land on the right flower or at the proper angle. At the same time, if you keep some simple compositional ideas in mind, you will have great success getting the shot you want. Be sure that you are paying attention to the background and not just your subject when shooting. It is always a temptation to zero in on your subject to the exclusion of all else, but you will be surprised at how many flaws you will find later when you review your photographs. Aim for simple, uncluttered backgrounds. Contrasting colors work really well. You want your subject to be the star, not the distracting patch of bright light right behind it. 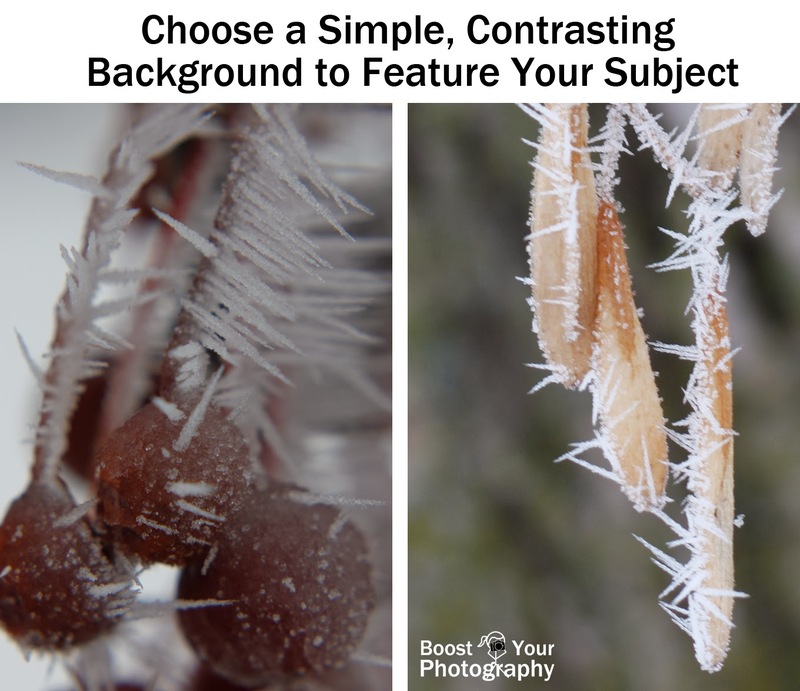 A pattern like a mass of branches can blur into a pleasing background, but a single out-of-focus background branch can pull the eye away from your subject and into distraction. Try to take that extra half-second to survey the background. Often simply changing your perspective slightly can alleviate the problem. Read more about Remembering the Background and Moving Your Feet here. Better yet, don't worry about your background at all, and simply fill the frame entirely with your subject. This works particular well for a subject like flowers or a repeating pattern, like rust stains, where you can compose for only a portion of the entire subject. Filling the frame gives your viewer an up-close and personal encounter with the subject and can make for a memorable macro photograph. In general with macro photography, you will only have a portion of your subject (and of your image) in focus, depending on your depth of field. Think about what part or parts of your subject are the most important to keep in focus (think eyes for bugs and insects or the centers of flowers, etc.). Because depth of field is a plane parallel to your camera, you can move yourself or your subject to place that plane in the best place. 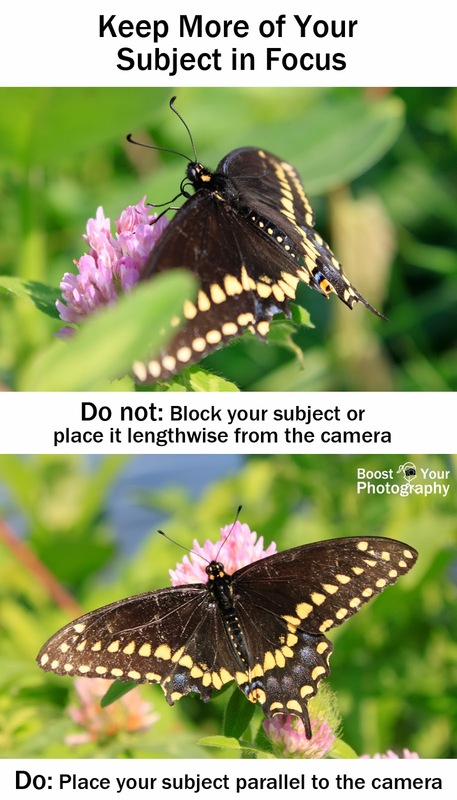 For insect wings, for example, place your camera parallel to the wing to keep the entire thing in focus. Now that you have the basics, take the time to try them out and see what works for you! If you are intimidated by the idea of chasing moving subjects (or you live somewhere cold, like I do and think you might never see Spring again), then start with stable subjects like flowers or household objects. Work on getting your focus spot on, extending and contracting your depth of field, and cleaning up your composition. Then you can build your confidence for shooting on the fly (or at least, shooting things that fly). Looking to get macro-level photographs without expensive equipment? Check out our Cheap and Easy Macro: comparison and recommendations. 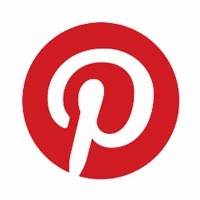 This post also linked up at Mums Make Lists.